Bling H20 – Water for Idiots? 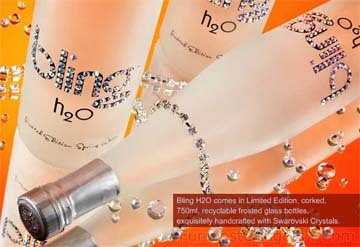 Bling H20 comes in a recyclable frosted glass bottle, handcrafted with Swarovski crystals. You can’t but wonder how stupi… umf, succesful someone must be to drink water costing $40 per bottle. No comments yet to Bling H20 – Water for Idiots?